Finally! We went to Kidzville in Podium. Last Wednesday, Henry and I headed out to Ortigas for a playdate with his little cousins. I have passed by Kidzville a couple of times, but it was always full. There was always a birthday party going on. So, we never braved to come inside. Luckily, only a couple of kids were there when we arrived. We went to their Playmaze (active gym) first. Playmaze is an obstacle course for kids - lots of climbing up and down. 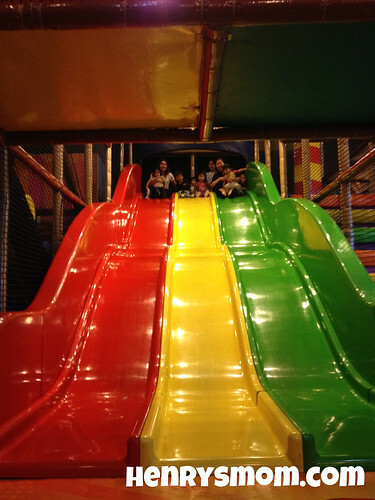 There are 3 long slides which the kids love. They also have a ball pit, but there were no balls when we arrive since they had just cleaned the pit. Here's our little brood posing on top of the slide. As you can see, it's a looooong way down. It's a looooong way down. After half an hour in the Playmaze, we decided to move to their pretend village. It was a small community full of mini's - a mini hospital, a mini garage, a mini barn, a mini fire station, a mini grocery and a mini cafe. You can enjoy this free accommodation and relax in the tranquility of Palawan when you win in this amazing getaway sponsored by the generous owner of Hidden Hills Private Resort. 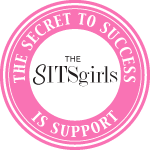 The whole prize will total to $400 excluding transportation and yours free when you win the amazing getaway prize! Hidden Hills is your exotic vacation home in the Philippines, situated in Puerto Princesa, Palawan. The exclusive villa is a lovely rustic chalet which sits on top of the hill with an additional loft built downhill to accommodate additional guests. Disclaimer: Henry's Mom did not receive any payment from the sponsor to host this event. The prize will be awarded by the owner of Hidden Hills as soon as the entries are verified. During our last Parent-Teacher conference, Henry's adviser reported that Henry was having problems with his pencil grip. I asked her what I can do to help my son. 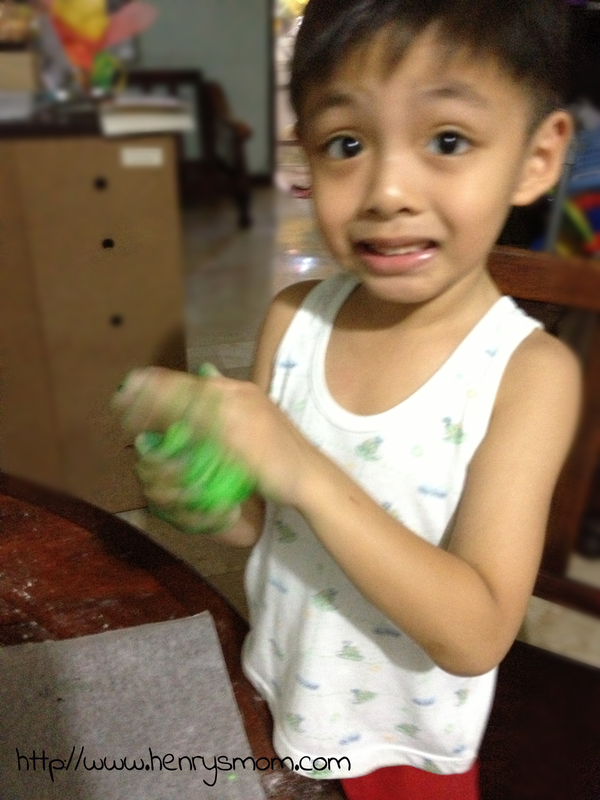 She advised that play dough can help strengthen his hand muscles and improve his pencil grip at the same time. So, on the first day of Christmas break, we made our own play dough! 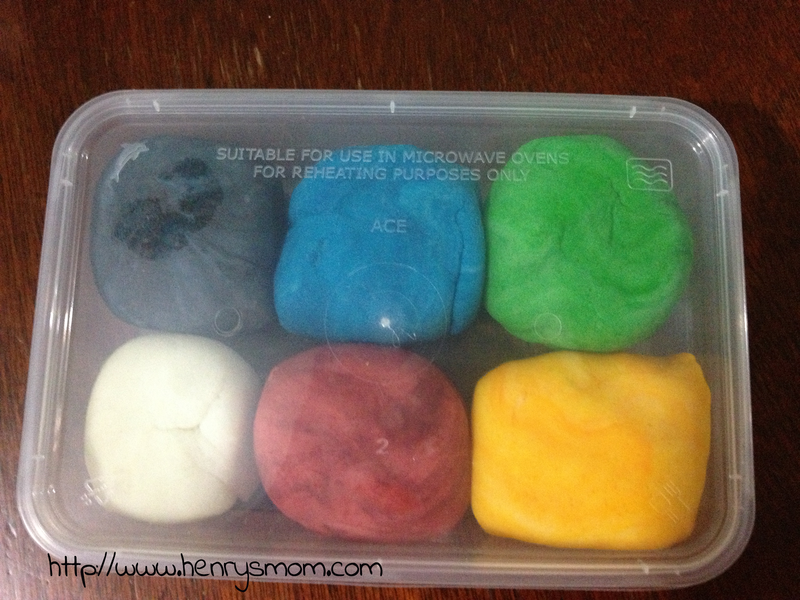 Both Henry and I enjoyed this activity and the play dough was very easy to make. It only took us 15 minutes. 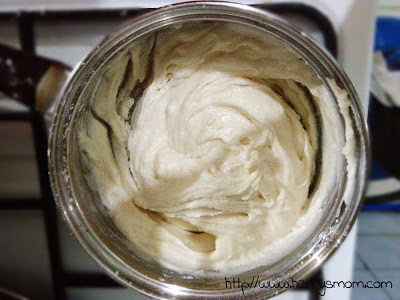 And I must say, the texture of homemade play dough is better than store-bought ones. In a saucepan, combine the first 4 ingredients. Then, add 1 cup of water. Mix Well. Over medium heat, cook for about 2-5 minutes. 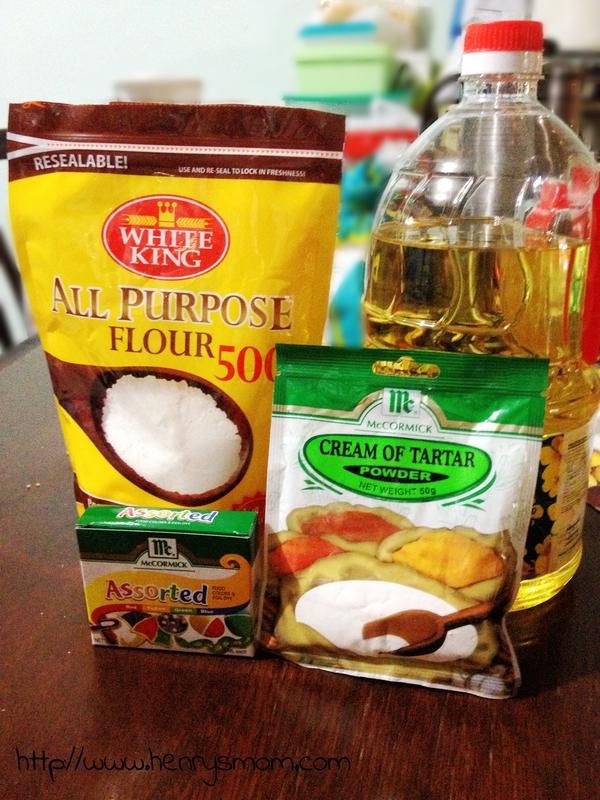 Stir the mixture constantly until it becomes solid. After that, remove your mixture and and let it cool for a couple of minutes. Now for the fun part. 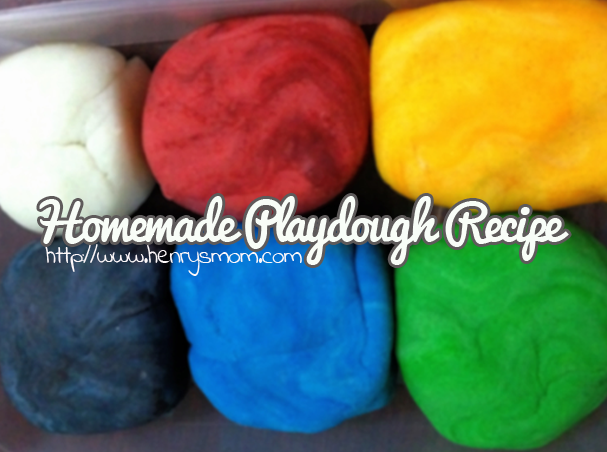 Get a handful of dough, add food color and start the kneading process. This is the part that Henry enjoyed a lot. Add food color as you need until you get the shade you like. You won't need that much though. When you are finished, you can immediately play with your clay. Just put in a plastic container or Ziploc for storage. Happy New Year everyone! I hope you all had a fun NYE celebration. Our family had a simple celebration at home. 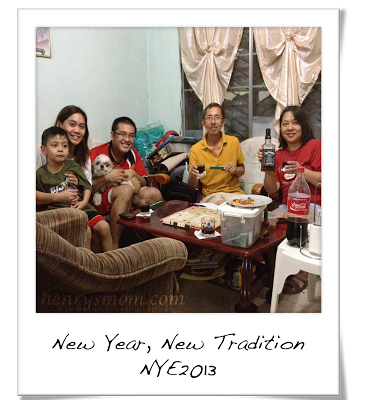 Usually, after we have our Media Noche, the hubby and I would go to our neighbor's house to grab a few drinks. It was a tradition the he has kept with someof our neighbors (his childhood friends). This year, we did things differently and stayed at home. After our Media Noche preps, the hubby and the father-in-law decided to have their drinks. My father-in-law then had the brilliant idea of playing a board game. So hubby brought out the Scrabble game board. The two of them plus the mother-in-law and I gathered around and played while we waited fo the New Year countdown. We had so much. The game brought out each one's competitive side. When the clock struck 12, we all ran outside and paused our game. 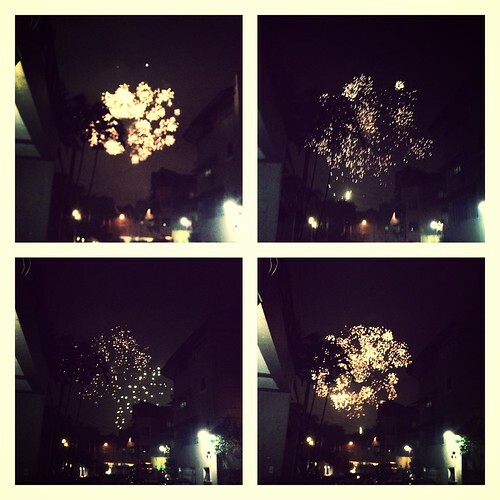 We watched as fireworks displays from different houses filled the sky. I told Henry to jump as many times as he could. So he would grow taller, the elders would say. Since we didn't have firecrackers, our little guy enjoyed blowing the air horn. After the fireworks display, we went back inside to finish our game. Which was followed by another round of Scrabble and then another. It was such a fun family bonding. Especially since my father-in-law, an OFW, goes home from Saudi only during the holiday season. We ended up having four rounds of Scrabble, 2 of which my mother-in-law won. We all stayed up until 6am just playing, laughing and sharing stories. It was a celebration that we all enjoyed and it made us closer as a family. This was one New Year's Eve that we would all never forget. 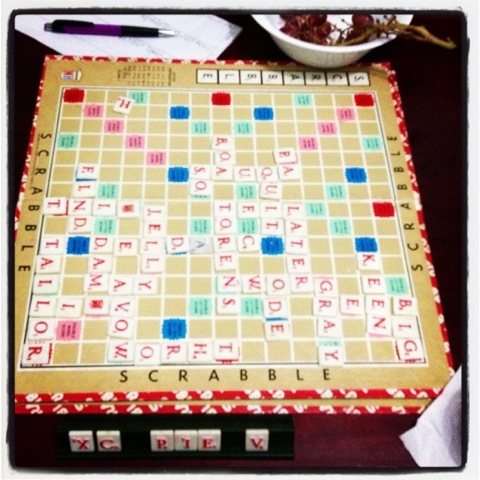 We decided to make Scrabble a part of our NYE tradition. And when Henry grows a little bit more, hopefully he will join us as well. P.S. The mother-in-law doesn't drink, she was just holding the bottle. Does your family have a New Year's Eve tradition? How did you spend New Year's Eve?